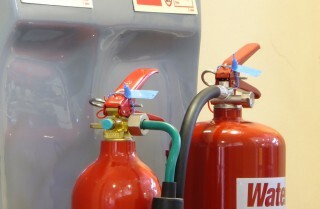 Fire Extinguishers are an essential part of every business. Whether you require Fire Extinguisher Maintenance, Supply, Installation, a Site Survey or perhaps you would like to arrange short term hire for festivals or events we can arrange the correct package for you. Contact Firecrest UK LTD today for a quick & friendly response. Fire Extinguishers are an insurance requirement! They are essential for the preservation and safety of staff and visitors & also to ensure business continuity. Don’t let a small fire develop in to a major one! FIRECREST’S range of portable fire extinguishers carry both the BS EN3 kitemark and the CE Mark. Our office procedures and engineers are audited by The UK Fire Association giving you peace of mind on the service you will receive. We carry a vast stock of Fire Extinguishers from 1KG Dry Powders right through to 135L AFFF Foam Trolley Units. All our Fire Extinguishers are manufactured in the UK to the highest standards. Full after care and fire extinguisher service available. Fire extinguishers come complete with wall brackets. FIRECREST UK LTD have fully trained service engineers, operating from fully equipped mobile workshops. They are able to service and refill most Fire Extinguishers at your location.